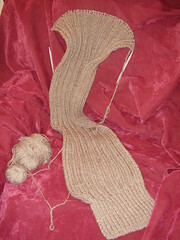 I've been knitting Erika Knight's Ribbed Shrug for what seems like ages. However, the end is in sight. It's nearly reached the point where I'll change to the different ribbing for the second cuff. 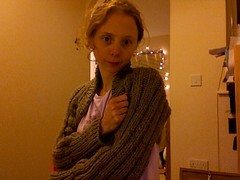 It's quite a fun knit and requires no mental energy!